This Valentine season, what could be more perfect than enjoying delicious, heart-inspired treats with your special someone? The country’s number one bakeshop offers an array of cakes and pastries that are sure to delight the hearts and taste buds of everyone, including the Double Dutch and Chocolate Caramel Decadence premium cakes. 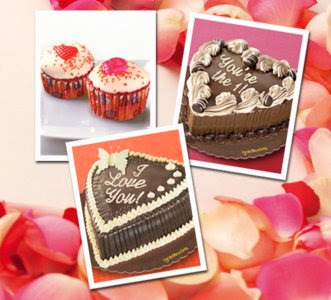 Specially designed for Valentine’s day, these irresistible masterpieces will make you fall in love with its luxurious blends of rich chocolate and creamy flavors. Another bestseller in this season of love are the new Red Velvet Bites, whose colorful toppings provide the perfect balance to its rich and creamy taste. Race to romance at your nearest Goldilocks branch, or call 888-1-999 Go-delivery today! This entry was posted in food press and tagged Goldilocks on 7.February.2013 by admin.